Going back to work after a holiday weekend isn't exactly fun, but if anything can make it better, it's a Snapchat of Harry Styles's new hair. And no, this isn't just wishful thinking — it totally happened, and it's the closest thing we've gotten so far to a full reveal. How's that for shaking you out of your post-holiday slump? 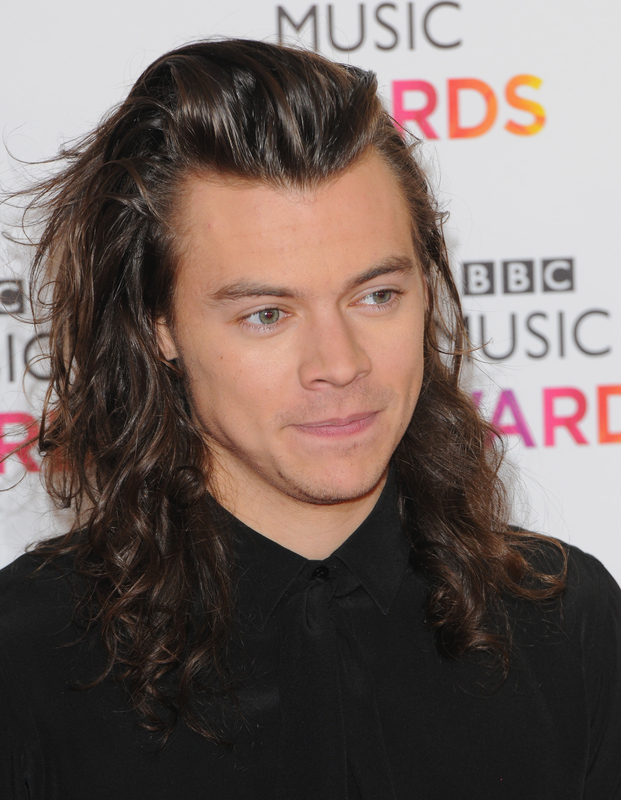 Styles cut his hair a couple months ago, and it's been basically agonizing torture since then. We've yet to get a legit reveal of his hair, and instead have had to rely on grainy, far-away paparazzi shots from the new movie he's filming, as well as candid shots where he's out and about with a hat on. Every. Single. Time. Frustrating is an understatement. Though we aren't entirely sure why he's hiding his hair (he may not like it, he could be keeping it under wraps until the movie is finished, or he could just enjoy teasing us), we've finally gotten another glimpse at it, and though it isn't a full-on view, it's pretty darn close. Styles's sister, Gemma, Snapchatted a shot of her brother over the weekend wearing a patriotic shirt, but let's be real, no one is really paying any attention to anything other than his hair, which we can see in half of it's glory. Since we can only see half of it, it's hard to tell how long it actually is. Is it still short? Has it grown? Is he growing it back? Is it even shorter? I have so many questions, and no answers. Step it up, Styles. We need another view of it, STAT. But at least it's a step up from this Instagram. Progress, ladies and gents!